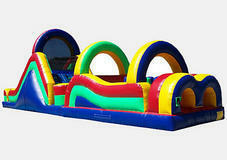 "known for the Biggest Waterslides"
Barefoot Jumps is now part of Big Boucin team!!! So if you looking for Barefoot Jumps you have come to the right place. Pick a date, Pick a jump, Reserve it! OR see what is available and call to book. PLEASE Feel Free to CALL IF YOU HAVE QUESTIONS- if you don't see what you're looking for, or having any problems. 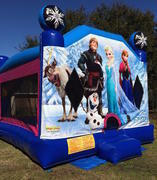 BIG BOUNCIN' Inflatables is located in New Iberia, LA. 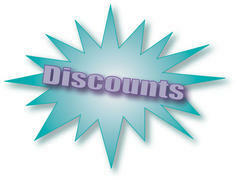 Locally owned, fully insured and licensed. We serve all of Acadiana and surrounding areas. We deliver to homes, schools, churches, and corporate offices. Our main cities of service include, New Iberia, Broussard, Youngsville, Lafayette, Carencro, Scott, Duson, Milton, Maurice, Delcambre, Erath, Abbeville, Loreauville, Jeanerette, Franklin, St. Martinville, & Breaux Bridge. 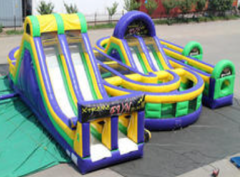 Inflatable World of BIG Fun- Jumps, Bounce House, Spacewalks, Moonwalks, Funjumps, Combo Units, Dry Slides, Water Slides, whatever you choose to call them we have them for Rent. FREE OVERNIGHT available. We offer Great Rates- prices are based on 4hr rentals but if you choose to keep the unit overnight it's FREE(only at a safe residence). Welcome to Big Bouncin' Inflatables LLC. !